Felicia Johnson is a bestselling author, international speaker, and mental health advocate with over 10 years experience in the field. 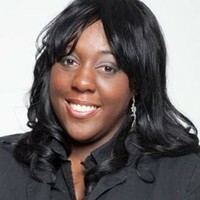 Felicia Johnson is an abuse survivor and life thriver! She is a behavioral health worker and youth advocate. She works in Atlanta, GA and volunteers with Youth Villages Inner Harbour and Personality Disorders Awareness Network (PDAN) and The National Alliance On Mental Illness (NAMI). Felicia was nominated for the Gutsy Gals Inspire Me Award and her bestselling novel entitled “HER” was nominated for the Georgia Writer’s Association Author of the Year Award. In addition, Felicia was honored and awarded for speaking and organizing the Women’s Empowerment Event 2015 for National Alliance On Mental Illness (NAMI) Augusta, GA. As a survivor of child abuse and one who deals with mental illness in her personal and work life, Felicia is very involved in efforts to end the stigma of mental illness. Felicia is an avid reader and encourages aspiring writers to journal at least once a day. A few of her favorite things are ice cream, learning new languages, experiencing different cultures, and making others smile. Felicia Johnson was born in Philadelphia, Pennsylvania, USA. She currently lives in Atlanta, GA.